Inspired by Amanda at The Zen Leaf who plans to read a classic weekly, I decided to put together a list of classics I want to read next year - one a month - at least. I have also come up with a list of alternates in case I can't bear to finish one of my choices or I feel like reading even more classics. What it is about: The powerful gothic novel of a house blighted by a terrible curse. Why I chose it: My mother tried to get me to read this, one of her favorites, for years. She even sent it to me in a package to Ecuador when I was an exchange student. I still have the same copy, so in honor of my mother’s birth month, I am finally going to read it. Then we can discuss it in the afterlife. What it is about: Utopias! Why I chose it: For Dystopian February, I thought it would be fun to read this popular treatise on what makes a Utopia. What it is about: The story of a man trying to redeem himself set against the backdrop of the French Revolution. Why I chose it: I LOVE the musical version of Les Miz and was obsessed with it all through high school. I saw it live for my 18th birthday. I’ve started this before, but never finished. High time! What it is about: You mean you don’t know?! Why I chose it: It’s a bit incomprehensible to me that I’ve never read this one. I loved Jasper Fforde’s The Eyre Affair. What it is about: A married couple from New York travels to Algeria. Why I chose it: I’ve long had an interest in the European/American experience in North Africa, and this one is set in the Algerian desert, which Daniel visited years ago. Why I chose it: I’ve not read much of Steinbeck – The Pearl, Of Mice and Men and the first few chapters of East of Eden. A friend left this at my apartment years ago, and I’ve been eyeing it ever since. What it is about: An older man develops an obsession with a beautiful teen boy. Why I chose it: Mann is pretty much my literary nemesis. He’s the one author I could never really get into on my high school required reading list. It’s a short novella, and my father-in-law’s favorite book, so I want to give it a chance. What it is about: D-503 lives in the One State, an urban nation constructed almost entirely of glass, which allows the secret police/spies to inform on and supervise the public more easily. Why I chose it: It’s a well-regarded dystopian classic – perfect for Dystopian August! What it is about: A policeman must solve the murder of his colleague. Why I chose it: It’s a (Swiss) German classic that Daniel gave me as a gift. I’m going to read it in the original German. What it is about: A married couple’s family life is strained with the arrival of their fifth child. Why I chose it: I’m interested in reading more by Lessing after the superb short story collection To Room Nineteen, and since it’s spooky, it’s perfect for October. Plus it comes highly recommended by a friend. What it is about: A tale of a reclusive weaver. Why I chose it: I asked for recommendations on twitter, and I liked this suggestion. Middlemarch was such a great read, I’ve been meaning to try more George Eliot. What it is about: The multi-generational story of the Buendía Family in a fictional town in Colombia. Why I chose it: I have enjoyed many of GGM’s works but have never made it past page 50 in this one. I need to remedy that. What classics do you think I should add to my alternates list? Which classics would you choose if you were to do the challenge? I love all these classics reading lists popping up everywhere :) And yes, you have to read Jane Eyre sometime! A few of your other books are books I wish I would read sometime as well, like The House of Seven Gables and Utopia.. good luck! Great idea, I might join you!! I hope you like Jane Eyre, I loved it. Did you know there is going to be a movie?? I'm currently reading Jane Eyre (finally!) and cannot believe how quickly I am enjoying it. Usually classics take a wee bit longer for me to connect to, but JE was immediate. I totally want to read LesMis too. <3 the musical. The novel is a bit daunting though. It's GINORMOUS! This is such a great idea. I have a few classics in my shelves, perhaps I should do the same. I have zero recommendations because I've really never read the classics, but I'm intrigued by your list! You chose a LOT of books that I never would have even thought of. I'll be interested to see how it goes for you! I am so glad to see The Fifth Child included on there. I first picked it up when I was only 12 and, to this day, it is the book that has made the largest and most lasting impression on me. I've reread it several times since, and in fact used it in a dissertation on motherhood in the 20th century. I've not read it again since becoming a parent and suspect I would find it quite upsetting now. It really is a work of genius. Love In The Time of Cholera is another favourite and Jane Eyre is fantastic. Cannery Row is another winner! You've got a great year ahead and it's nice to see a YA blogger promoting adult classics! Love love love this idea! I might have to join in...There are so many classics I haven't read! Cannery Row is awesome. I absolutely love that book! I read it last year for fun. And it was SO fun! I read Jane Eyre this year for the same reason that you've selected it--I just couldn't believe that I never had! Good choice. I enjoyed it. For other classics that could go on your alternates, I don't know. I don't know what you've read and what you haven't. But, I love Kurt Vonnegut. If you haven't read him, you should. What a great idea! I liked Utopia in college or high school (can't remember when I read it). I have always wanted to read the unabridged Les Mis. We read the abridged version in school and I loved it. You don't have any Dickens on the list. Have you read most of his already? I'd also recommend Siddhartha by Herman Hesse. I've never even heard of The Sheltering Sky! I'm going to have to go check that one out a little more. Some of the books on your list I also want to read: The House of Seven Gables, Utopia, and Cannery Row. I also want to reread Jane Eyre and possible We this year too. Good luck on your project! I know better than to assign myself certain books at certain times - my Classic Weekly project would derail in a month! I prefer the idea of a pool of books to choose from. 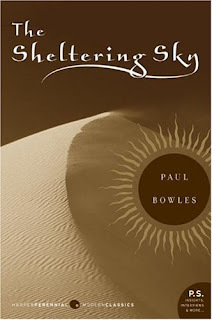 I might be adding The Sheltering Sky to that list! Gaby - Yes! The movie is one of the reasons I thought I better read it sooner rather than later. christina - I may actually have the abriged version! SB - I am really excited about The Fifth Child! Seems like a great October read. Mrs DeRaps - I've read Galapagos, but nothing else of his I think. Alison - Daniel listened to Siddharta on audio last year, so I think I read it by osmosis too! I've read some Dickens (Hard Times, Oliver Twist, Great Expectations) but I would like to read Bleak House one of these days, at least. Amanda - I've found I am much better at challenges if I actually assigned myself a book to read at a certain time. I have the back-ups in case I am not feeling something! Of the ones I've read, great choices! Jane Eyre is one of my two favorite books. 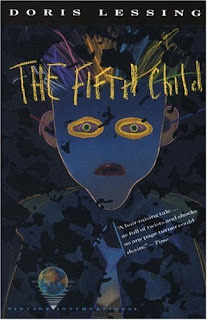 :) I also read The Fifth Child. It's very disturbing and thought-provoking, a perfect read for October. Les Miserables is on my lifetime should-read list - I even own a copy, but it's a cheap one, so I think I'll need to do some research first. Interesting list Lenore, and definitely a good project. I've really enjoyed the Bowles that I've read, as well as Utopia, though wasn't a huge Jane Eyre fan. I hope you enjoy! I've read a number of these -- some more than once. But others have sat on my TBR for decades. So I'm hoping you read We Yevgeny Zamyatin, The Judge and His Hangman, and Fifth Child for me. I DNF'd 100 years three times. Just not for me. I loved O Pioneers! and I'm not a fan of James. I will be following this project of yours! I've read a few of these..Jane Eyre, Death in Venice, Silas Marner...I hope you enjoy your classics reading project! I'm so excited more people are taking up the classics! I hope you get to read The Sun Also Rises even though it's only an alternate. It's just a really interesting read both content and form wise. Jane Eyre was awesome, so definitely read that. If you haven't read Ethan Frome by Edith Wharton, you should try that - it's really short but it has a romance and an affair and it's surprisingly easy to read. What fun - perhaps I will be inspired enough to read Henry James. I started with Washington Square because it was mentioned in a modern novel I read and I need to continue. Yay, you will get to experience Jane Eyre for the first time. 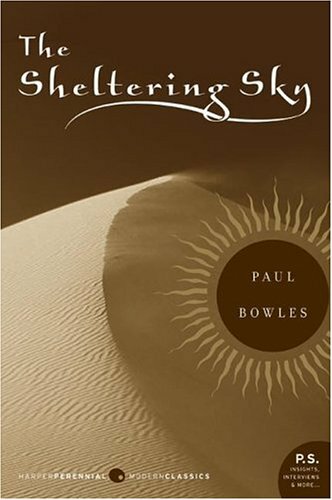 I've read Sheltering Sky - when I was 18 - and can't say I understood it well at the time. I remember it depressed me. Have you read Jack London's The Call of the Wild and White Fang? I've always enjoyed that pair of stories. Also, I recommend Sarah Orne Jewett's The Country of Pointed Firs, turn-of-the century portrait of a coastal Maine town. I was actually thinking of doing something like this! I'd have to spend some time thinking about which books I wanted to read though. I got a bunch of free classic eBooks from Barnes & Noble this fall, and I need to start reading them! I love this kind of project! :) You have some great titles on there. I'm a little scared of Hawthorne (I blame the 10th grade), but that novel in particular sounds so wonderful. Its on my list as well. I really want to read Les Miserables and Jane Eyre this year too! Maybe just knowing that you are reading them will inspire me. And also, A Hundred Years of Solitude is an incredible read, I'm just sayin'. I'm doing monthly classics for 2011 as well, after reading Amanda's post. Like, I would love to read them once a week, but realistically that time is filled with YA and adult fantasy, etc. Great list, this is making me excited to make my list. ALSO I suggest Count of Monte Cristo by Alexandre Dumas. I'd suggest North and South by Elizabeth Gaskell. It's leaner than some of those novels, and has a great love story! Also, Our Mutual Friend by Charles Dickens has two great love stories while giving life to some of the best characters. However, you have a great list. I am going to do this too. You ought to make an icon! You are a much better woman than I am! I'm so not into classics at all. I know it's terrible of me to say it but I can't get into them and even for the sake of being a more well rounded reader I can't make myself suffer through them. You're going to do a great job! Hope you enjoy. These are all great picks. :) I've been meaning to read a lot of these too at some point. I like that you chose some more obscure classics too! Megan - I do want to read more Wharton. I love The Age of Innocence and House of Mirth. Christy - I have read a ton of Jack London, including those. Sarah Orne Jewett is a great suggestion! I read a short story by her in HS. April - I love Count of Monte Cristo! One of my faves! Melinda - I love your suggestions! 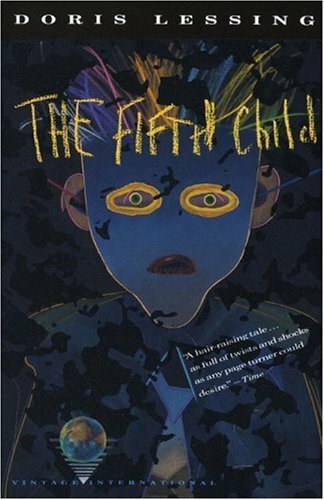 The Fifth Child?? That book is SERIOUSLY CREEPY. I'm pretty sure it turned me AND A FRIEND off of kids for a good few years. I'll be interested to see what you think! This is a great idea. One classic a month totally sounds doable. I'm excited that you have Jane Eyre on your list. I hope you love it! I'm thinking of doing one a month too! Of course, when I started making my list it was much longer than 12, so I'm still debating. Good luck! What a great idea for getting through those classics you know you should read! The only one on your list I've read is Death in Venice by Thomas Mann. I remember really enjoying it!